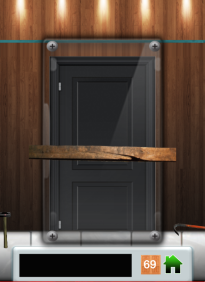 Pick up the crowbar and use it on the wooden plank. Pick up the hammer and use it on the glass. Pick up the key and use it on the door. Proceed to the next 100 Easy Doors level!